It can be quite confusing for newcomers to understand how each type of currency pair works in the Forex market. Instead of buying stocks, when investing in Forex, the trader is simultaneously buying a currency and selling another. Each pair has a particular format such as EUR/USD which stands for Euro/U.S. Dollar and GBP/JPY which stands for British Pound/Japanese Yen. Each currency pair shows how much the currency is worth in the second currency’s terms. If the EUR/USD pair is 0.9, then 1 euro is worth 0.9 dollars. The value of the base currency (euro) is always expressed on the secondary currency value (dollar). Basically, there are two ways of knowing how will the currency pair behave regarding its value. The first is through economical fundamental analysis and the second is technical analysis. Fundamental analysis has to do with all the economical factors that affect the value of money, such as published economy data and financial news. Currencies are a direct representative of how the economy is sustaining itself and how each policy affects its functioning. Technical analysis has to do with the graphical representation of each currency pair, and then fluctuations are linked to economical concepts such as supply and demand. Trends in Forex can last for a long time; this is why Forex is often compared to negotiating whole economies. Most of the small trades rely on buying low and selling high, while expecting any type of market variation. Trends are usually correct, but it is possible to go against it and try to earn a much larger profit in that manner. One of the most important currencies in the world is the U.S. Dollar. It is by far the most traded currency that’s available because world reserves are stated in dollars. Most of the U.S. Economy is based on consuming; the system has a structure that relies on customers buying and on cheap manufacturing, while maintaining a strong arm on non-renewable resources. On the Forex lingo, dollars are called “bucks”. The euro is the second largest currency there is, since its shared by every country that’s in the European Union. The creation of the euro allowed for increased consistency and stability on the European economy after several recessions and economical imbalances. Every pair containing the euro has high liquidity, the EUR/USD pair being one of the most traded in the whole market. The Japanese Yen is also quite important since its the third most traded currency in the market. Japan is one of the pillars of eastern economy, and because of this, it is highly susceptible to any sort of inconsistency regarding other eastern countries. Lately, the Japan administration has been applying stimulus policies designed to help boost the economy and deal with the current social growth problem. Japan is one of the largest exporters in the world, which translates into a constant influx of money which has to be managed in specific ways; but with the high levels of supply and low demand, Japan economy has been falling into stagnation in the course of the past few years. Forex trading has peionttal for high profits and high losses. 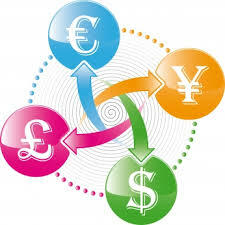 Forex primarily needs a great deal of knowledge and specialization to do it profitably. Many GURU’s like to bang the drum about how much money you can make, but most people lose money at FOREX, because it is a situation where you make profits based on your decisions, and unless you are right in the immediate market, you are making decisions based on partial information. Those who have the best information make the most money. If you are 60 seconds late, you may miss out and lose money.Some people thrive in such a situation. Most do not. First you need to have a good basic knowledge of forex trdinag before you can start. Then you should try some of the aids available. These are systems that can help you a lot such as signal generators. They help to control your risks as well. Practice on them until you are comfortable that they work for you.To some extent, luck plays a part but I think it’s more from experience and prudence. At least in the longer term, these will help you more than luck.